This third generation family of photographers works tirelessly to capture one of the most important days of your life. With an eye for detail, their fun and vibrant new website now showcases their creativity and versatility when capturing your special day. Using their signature pink, our team organized the website making it easy to navigate and view an array of work that shows their true talent for their craft. 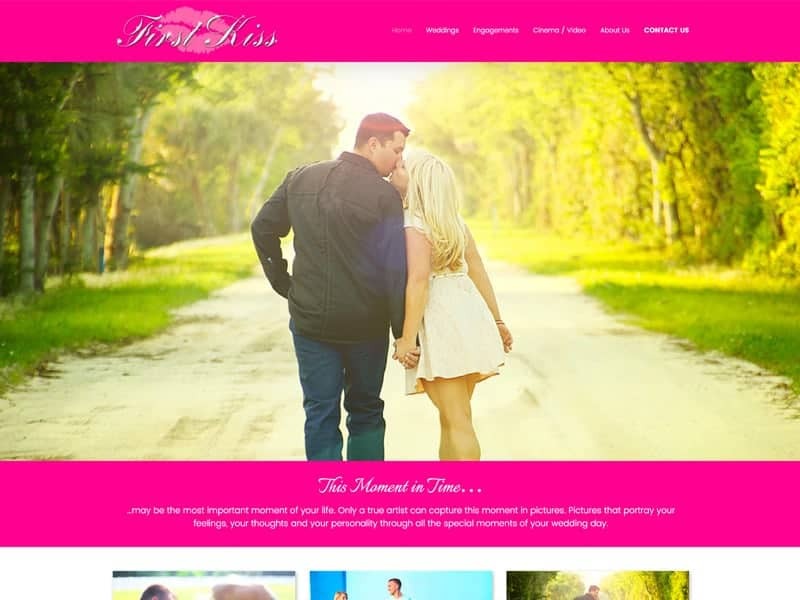 Photo galleries allow First Kiss to upload their latest works for visitors to view. Let Vision Design help you showcase your portfolio of talent. Contact us Today!